Given that India will become the youngest country by 2021, with 64% of its population in the working age group of 20-35, according to the 2013-14 Economic Survey, companies need to shape their strategies to remain relevant to this section, called millennial or Generation Y. For decades, organizations have seen young talent walk through their doors but that didn’t really change the way they operated. Now, however, they have to rethink their approach. “Even till the early 2000s, the biggest difference from one generation to the other was just the age. But this generation is radically different, as it is an always-connected generation. And companies need to respond to this change fast,” says Debabrat Mishra, director at human resources consultancy Hay Group (India). Companies like Infosys, IBM India, InMobi and Microsoft India, where millennial talent is a significant part of the workforce, are implementing initiatives to attract, retain and engage this group. In the West, firms like Coca-Cola and Visa Inc. have already shaped their strategies to engage with the millennial workforce. They have relaxed the office dress code and convened councils of millennial employees to weigh in on everything from marketing campaigns to workplace policies. Online deals site RetailMeNot is even inviting junior employees to take part in hiring decisions, according to a 6 May article in The Wall Street Journal. At information technology consulting company Infosys, 90% of its 180,000-strong global workforce consists of millennials. Bengaluru-based Richard Lobo, senior vice-president and head, human resources (HR), Infosys, says the people practices to attract and retain this workforce, whose average age is 28, need to be markedly different from those that were used in the past. Infosys has already done away with a formal dress code. Since June, employees are required to wear smart business casuals on all days. The company also engages talent by listening to the employees and implementing their ideas. One example that highlights this approach is Murmuration, a crowd-sourcing initiative launched across Infosys offices in August 2014 to find innovative ideas that could be built into the company strategy. The company has already implemented 10 ideas from the 2,700 entries it received. Infosys launched this initiative because millennials expect a technology-enabled workplace that promotes a collaborative, transparent and participative organization culture and innovation, and rewards individual contribution, says Lobo. Other technology companies also believe that by ensuring a culture of innovation, they will be able to attract and retain millennial talent. Microsoft tries to drive the innovation culture at the stage of internship itself. Rohit Thakur, head, HR, Microsoft India, says the company provides interns an opportunity to develop enhanced technical skills and learn from experienced professionals. Mobile advertising company InMobi, where 30% of the workforce was born after 1990, encourages innovation and business ideas from its employees. The company supports any start-up which is begun by InMobians. “They are given guidance and mentorship to make their start-up a successful one. And more than 40 start-ups have come from InMobi, by InMobians already,” says Kevin Freitas, director, HR, InMobi. Technology occupies centre stage when it comes to designing initiatives for millennials, and companies like IBM are creating tools that will appeal to them. Last year, IBM developed a tool called IBM Verse. This tool integrates email, meeting, calendar, file-sharing, instant messaging, social update, and video-chat capabilities on a single platform. It was designed by the millennial staff, says Dilpreet Singh, vice-president, HR, IBM India and South Asia. Besides technology, the millennials also look for learning and development opportunities, says Mishra. For this, IBM has set up a reverse mentoring programme that allows a team of hand-picked young people to be part of a shadow board. “We give a similar situation to the young employees and the senior leaders to analyse how differently they would deal with it. This brings a better understanding between the top leaders and the young employees,” says Singh. InMobi introduced the concept of a “learning wallet” last year. The wallet of each employee is pre-loaded with Rs.50,000 every year and can be used for professional training of their choice, like taking tutorials in coding and attending technology conferences. “Employees are free to use their wallets for anything that helps them grow professionally,” says Freitas. 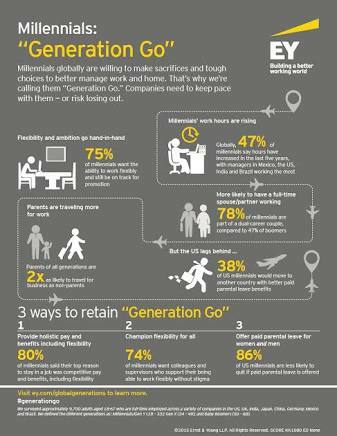 Even with various initiatives taken to cater to millennials, many a time organizations and Generation Y are not on the same page. A survey of 1,731 millennials in key metros in November by Chennai-based Avtar Career Creators and Flexi Careers India, which works to boost diversity, showed that 50% of the millennials use job portals for employment search, while for companies, employee referrals are the top choice for finding millennial talent. Similarly, 53% of the organizations surveyed believed that good compensation was the best way to hire talent, while 59% of millennials said they looked for opportunities for rapid growth. “There is a perception that millennials want it all and it is quite true. They prefer a customized approach towards everything. So companies too are increasingly seeing what their needs are and how they can customize all processes from talent acquisition to feedback. In a way, the millennials are creating a new normal for companies,” says Saundarya Rajesh, founder-president of Avtar Career Creators and Flexi Careers India. Besides trying to find out what millennials want, companies are also trying to understand the myths around them. In an internal survey, IBM found millennials to be a highly misunderstood workforce. “The myths are that their career goals and expectations are unrealistic, they need endless praise, they are digital addicts,” says Singh. But what they actually want is clear career goals, and the ability to engage them constantly and help drive innovation in the workplace, adds Singh. u 76% women expect to rise to senior levels in the organization. 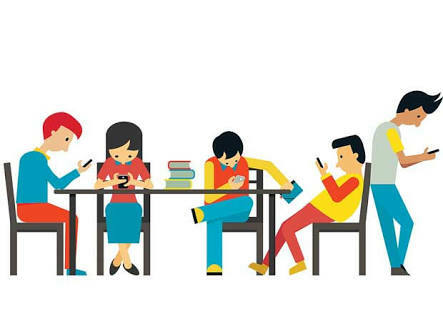 ​The Millennials are not only the last generation of the 20th century, but also the century’s very own first digital cohorts, rolled-into-one. In other words, they are born between the eighties and early 2000’s and fall somewhere between the generation X and generation Z. Often misunderstood for pursuing seemingly elusive endeavors, this generation possesses the acumen, skill, and innovation for becoming the potential leaders of tomorrow. Love them or hate them, but you can’t ignore them. India’s millennial consumers have a natural proclivity to searching information and are not satiated with the mere of enlightenment; they value the journey of discovering, experiencing and the pride associated with it. 1) Personalization is the key:Millennial consumers dare to go beyond the functional aspect of the products; they delve deeper into the aesthetic aspects like identity, eminence, and patronage associated with the product. Their constant craving for personalized goods and services has compelled businesses to amend their production and marketing strategies. 2) Online v/s store shopping: The Indian millennial consumers rely on various shopping apps and online reviews before making a purchase. However, it would not be fair to presume that millennial consumersare merely online shoppers. They also love going to the mall and indulging in shopping at stores for just about anything; clothes, accessories, electronics, home essentials. But they also check out for deals, insights, customer reviews, and compare prices before making the final choice. In a study conducted by Accenture, showed that 68% of all millennials insisted on having a seamless shopping experience regardless of the medium. 3) Value money, but still poor:Although young, most millennials enter adulthood with significant financial roadblocks. With college loan EMI’s to be paid off the moment they get their first jobs, millennials are already neck-deep in debts. This is one of the major reasons why they delay buying a house, getting married, or having children. In fact, many remain pretty comfortable staying with their parents. 5) Generation I: Indian millennial consumers do not mimic their older generations when it comes to taking important decisions such as voting. Yet, most millennials like to stay connected to their traditions such as celebrating Indian festivals and rituals with great fervor. Indian millennial consumers are becoming increasingly individualistic in their purchase habits in a myriad ways. The three important categories that are touted to achieve maximum financial boost are beauty, health, and fashion. For millennials, beauty is not confined to the face, but also encompasses the body in a holistic manner. Health now means much more than having a well-toned body. They are keen to look modish without being flippant or outlandish. 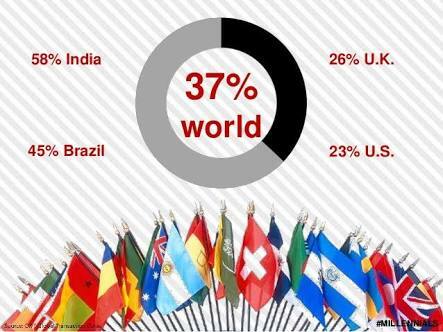 Indian millennials constitute about one-fifth of the world’s youth population. Apart from opening up brand opportunities, comprehending the mindset and requirements of young millennial consumers will lead to a better tomorrow. A paradigm shift from family purchases to individualistic indulgent shopping over the past 10 years indicates that Indian consumer focus on categories guaranteeing personal fulfillment is on the rise. Previous Post #ECOMMERCE- Guide For DIY eCommerce business. Next Post #LeadgenerationMarketing- Have you done with this?